I have a "package" of sorts for more robust artistic editing, but to start you off I have a gallery of high resolution wallpaper-type .jpgs that may or may not meet the needs of your display size ratio. Let me know if there is a certain ratio/resolution that you would like renders for. I wanted to see how something like this would look, so I scanned my jewel case booklets, collected online images, and took some screenshots from in-game to get good references and set out building high polygon versions of the text and circle-U logos from the original Unreal. Build the actual models to have them on hand. 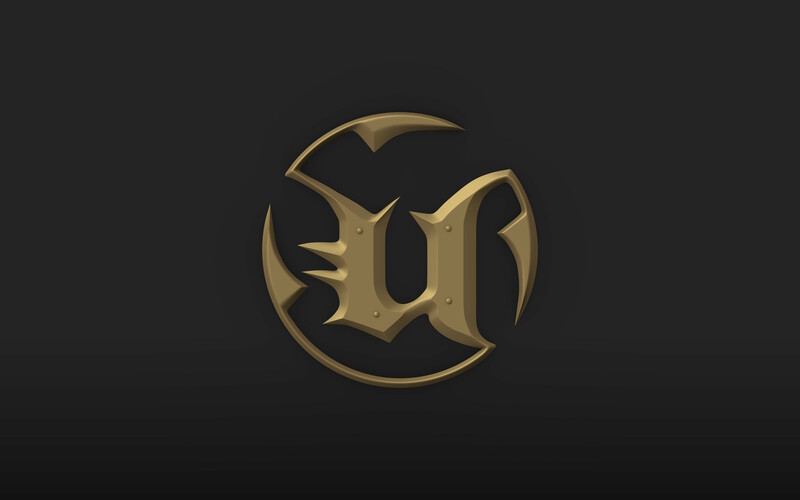 I've been drawing the 'U' from "Unreal" with pencil and paper since I was 11, so it was good to come full-circle and have a full model of both logos done. Pure recreation of these logos was a real thrill as they came along. Give others some resources to play with if they want. Even I may want to go in and try some painting and texturing, but even if I don't I wanted it to be available. A fully updated HD arted-up version of the old logo is one of many things I'd imagined, but it's essentially for anyone who wants to use these images for any non-commercial projects of their own. Low compression (.png) versions of all of the images included in the Imgur album (as well as some images rotated by 90 degrees for mobile use if you wanted to use those on your phone for any reason; no idea why I didn't include them in the album). Masks for EACH wallpaper-style image so you can remove the background and isolate the individual logos. This would be especially useful for painting, creation of in-game textures or other assets, and whatever else springs to mind. To conclude, I'll just say INEVITABLE TYPOS AHOY! And thanks for taking a look at the post! Hey, thanks! They're very basic direct renders from Blender, but they weren't meant to be astoundingly beautiful to begin with and I think they still turned out alright. To be honest I should probably release the 3D files in some form eventually. We have the source images on Unreal booklets, CD cases, websites, etc. and I wanted to do as much as was in my power to bring those old logos to a higher level of fidelity, and I could do very little five years ago. Since I've dabbled a bit with 3D modeling I figured I could apply those skills on this project. It was mostly a neurotic personal obsession, but I do wonder what the community (and remake/SP mapping kit projects for UT4) might be able to do with these. I haven't received suggestions or requests, but if there are any I'd love to hear them. I will probably get around to uploading the 3D files in some form. It's look... impressive. Good job! 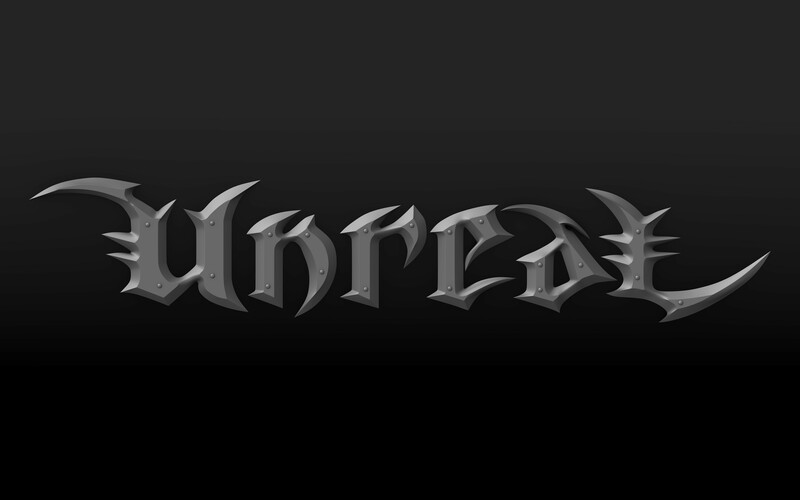 Hey Jet, I hope you don't mind - but I used your Unreal logo as a base for my Unreal HD Skins project. It looks great. Lightning Hunter wrote: Hey Jet, I hope you don't mind - but I used your Unreal logo as a base for my Unreal HD Skins project. It looks great. Hey, go for it! The most I've done with it is use them for phone/desktop backgrounds, but they were intended for other uses as well. Hope they fit the bill. 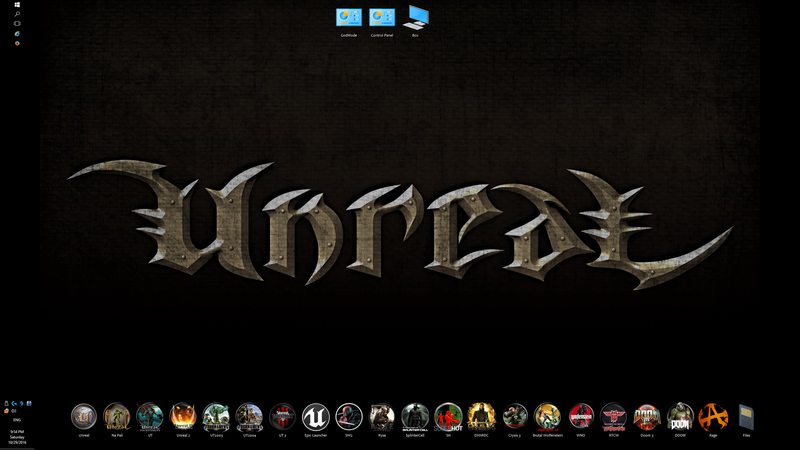 This is such an awesome desktop (after a bit of tweaking)! Thanks Jet...great stuff.